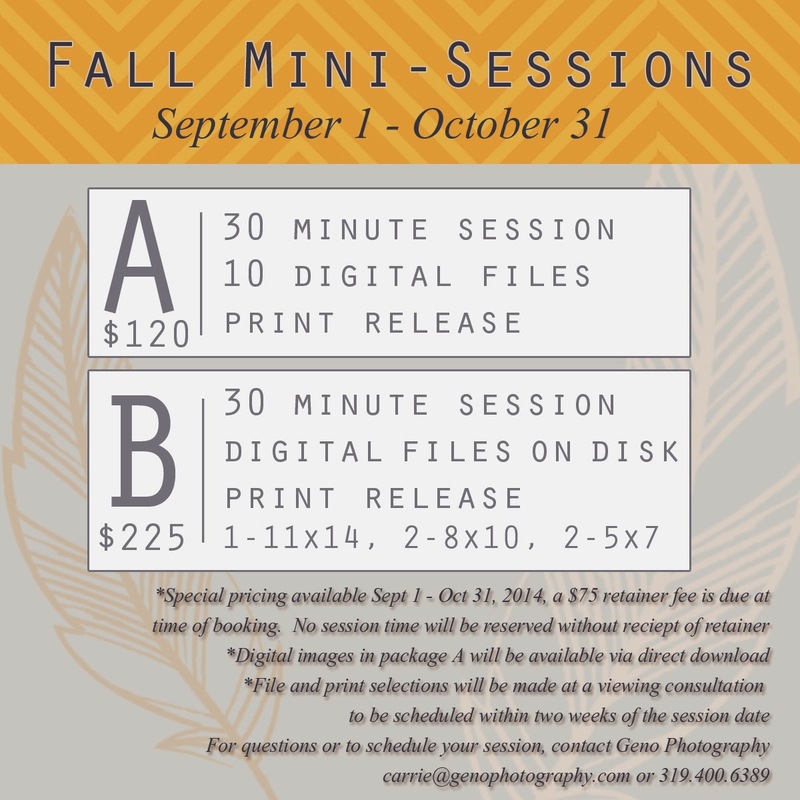 Geno Photography: Fall Mini Sessions Are Coming! Something new we're adding this season, is an in person viewing consultation. This consultation is to be scheduled within two weeks of the session date. It can be held in the studio or in the comfort of your home. This session is not about high pressure sales, there is no requirement to purchase anything additional. It is designed to help you make the most of your portraits. In the consultation, we view the beautiful portraits of your family and discuss how to best use and display them. Are you looking for a wall portrait? Where were you thinking of hanging it? Are you planning on using the portraits for holiday cards? Are you wanting prints for family? If so, it can be useful to have a list in mind. It can help you stay organized during the consultation. 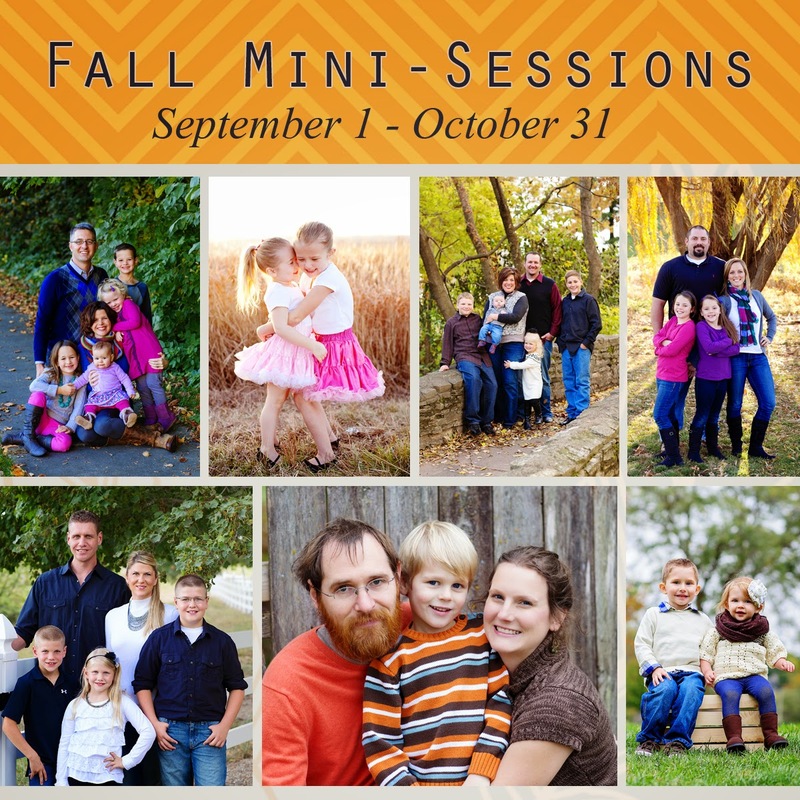 If you have any questions about our mini-sessions, please feel free to contact us.